I always like to know more about the name of the place that I’m visiting, it helps me to understand the local culture better, but when I asked people about what does Koh Samui means answers were different. 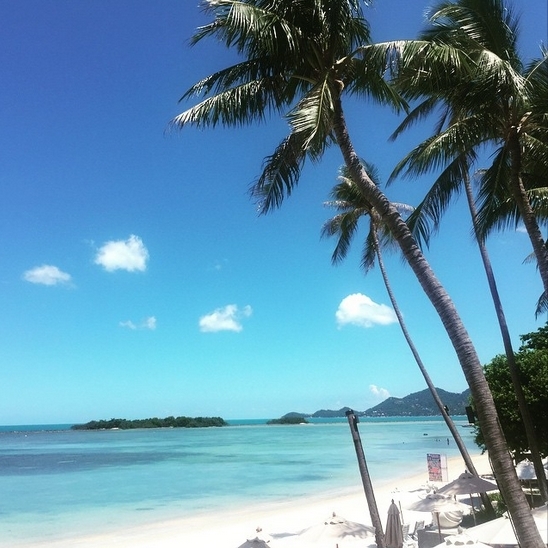 Some told me that it’s called like that because of the wonderful mui tree, some said that it means “secluded heaven,” but no matter the name there is a reason why over 1.5 million tourists visit Koh Samui every year. Just an 80 minute flight from Bangkok can get you away from all that city hustle and bustle and overcrowded streets to a place of tranquility, harmony and so many breathtaking monuments and amazing beaches you might think that you’ve reached heaven. I’ll mention a few attractions from the very heart of Koh Samui, and I’m sure you will be eager to get here as soon as you can. Waterfalls are just one of the many attractions of this island, but a real treat for nature lovers and environmental enthusiasts. If you are by any chance visiting in April, and all through June when it is the hottest period in Koh Samui, many tourists like to take the trip to the waterfall Na Muang because it is a great getaway from the heat of the sun and high temperatures. You can swim in all natural pools beneath the purple rocks of the waterfall, and it is a great place for a picnic if you are on a holiday with your family. Furthermore, there is also an elephant safari just nearby and you can even have a ride through the jungle. 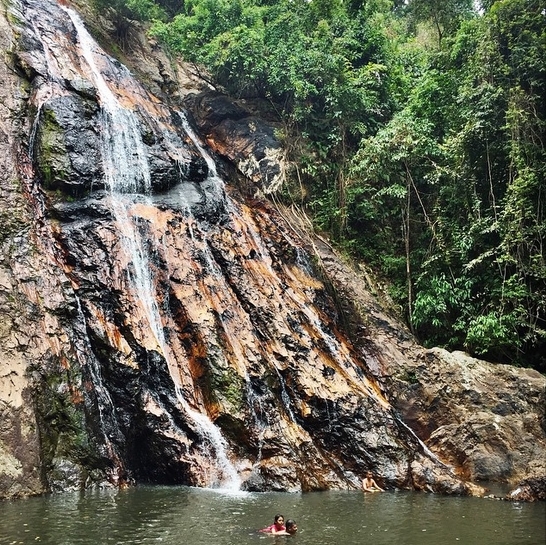 The Hin Lad waterfall is located in the thriving heart of the jungle, and you can have a relaxing hike through untouched nature, just to find a hidden temple in the middle of it all. Amazing gardens, astonishing monuments and Buddha sculptures, and even a meditation place where you can unwind and relax will leave you speechless. All year round you will find the locals there trying to reach their peace and quiet their spirits, you can feed the fishes or find one of the small restaurants close by if you get tired from the hike. 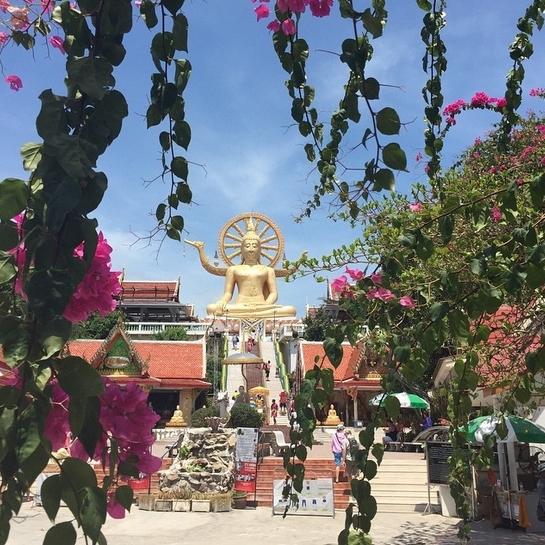 Koh Samui is rich with history, and if you ever wanted to get in touch with the Buddhist way of life and religion in its purest form, this is the place where you want to be. Every resident, and every visitor will tell you that you won’t fail to notice the golden statue of Buddha. It is located near the airport, and is 12 meters high. The Buddha is depicted in the Mara posture, which means that he is in a calm state, relaxed and resolved. The temple is also a place of meditation, and you can also find monks and residents coming here to pray and offer gifts to Buddha. It is a magnificent experience. In Wat Khunaram, a small province of Koh Samui, you can find the most famous monk of the island, a mummified monk by the name Loung Po. In 1973 this monk died during his meditation, and now his remains are preserved in the glass casket in the temple building. Although this might seem a little bit frightening for some visitors, local residents worship him, it reminds them that there is always a life after this one and death is only external. This the second largest island in Thailand, so you can’t even imagine how sandy beaches are constantly beneath your feet. Whatever you like and everything that you ever imagined, Koh Samui offers a great variety of amazing beaches and you will never want to leave this place after spending an afternoon on one of them. There are way too many for me to address them all, but just to give you a general idea of how you can find a perfect beach for yourself I have to mention a few. For example, if you are looking for a crowded place and a chance to interact with other tourists, you should be on the Chaweng beach. It is more than 7km long and you can find a private spot and relax with some friends, shop anything you might need, or you can get something to eat in a restaurant by the beach and stay there for a whole day until it turns to a night spot in the evening. On the Lamai beach you can spend your whole day in a more relaxed atmosphere, quiet neighborhood and secluded bungalows, beach bars and nice restaurants. The easy-going atmosphere will put you in the perfect holiday mood. If you are looking for an even more private place, try finding a cheap but comfortable bungalow on the Mae Nam beach, all the regular visitors prefer this beach because of its convenient but low-key style. Simply, whatever your taste is the amazing Koh Samui beaches will find a way to make you happy. I didn’t even have the chance to mention the national parks, petting zoos, wonderful food and natural wonders of Koh Samui! There are so many things to experience in this secret heaven, you just might have to try it yourself. 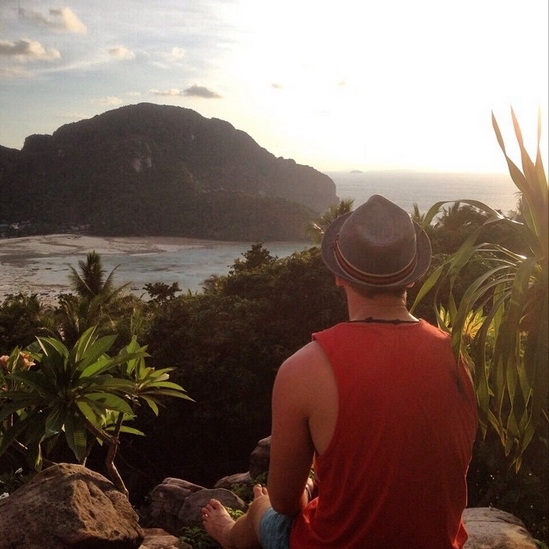 Peter is free-spirited travel who loves spending his holidays around exotic destinations. He enjoys tennis and a good travel with his friends around the globe. Follow Peter on Twitter. Heyy Peter! Koh Samui Beaches look amazing. My boyfriend and I are going to Thailand in a couple of months. We will definitely include Koh Samui Island in our destinations. Swimming on such beaches in the summer must be a cool and comfortable experience. We may send you some photos when we are back from Thailand. Thank you for your recommendation.